Sivaji Ganesan who passed away on July 21st 2001 is widely regarded as the greatest thespian of post-independence Tamil cinema. This doyen among Tamil actors was one of my favourites. Like many of my generation I memorized the dialogue from “Veera Pandiya Kattabomman” during my childhood and repeated them with appropriate mannerisms to entertain family, relatives ,classmates and friends. Sivaji spoke Tamil on screen the way it should be spoken.It is no exaggeration to say that he was the role model for many in pronouncing Tamil dialogue in dramas. SIVAJI GANESAN, 72, one of the brightest stars on the Tamil film firmament for nearly five decades, passed away at a Chennai hospital on July 21. With more than 300 film roles to his credit, he inspired a whole generation of artists, virtually creating a new school of acting. Villupuram Chinniah Ganesan, or V.C. Ganesan, was born on October 1, 1928, in Villupuram, which was then in Tamil Nadu’s South Arcot district, to Chinnaiapillai, a railway employee and freedom fighter, and Rajamani, in whose name he was to launch later a successful film company, Rajamani Pictures. Smitten by a street drama about Kattabomman, the feudal Polagar of Panchalan-kurichi who defied the British, young Ganesan became enamoured of acting and abandoned school when he was in Class Two. Forsaking home, he joined the Madurai-based Bala Gana Sabha drama troupe first, and later the troupe run by Ethaartham Ponnusamipillai. From child roles he graduated to female roles and then on to the “raja part”, the role of the hero, as it was known then. The first landmark in his career was his portrayal of the Maratha warrior Sivaji in the drama ”Sivaji Kanda Samrajyam” written by Dravida Munnetra Kazha-gam leader C.N. Annadurai, who went on to become the Tamil Nadu Chief Minister. E.V. Ramaswamy, the patriarch of the Dravidian movement, acclaimed his stellar performance and referred to Ganesan as ‘Sivaji’ Ganesan. This was in 1946. The sobriquet stuck. The big break in Sivaji’s career came in 1952, when he acted as the hero in Parasakthi, a film directed by Krishnan-Panju. The dialogue, written by DMK leader and former Chief Minister M. Karunanidhi in fiery and flowery prose with a surfeit of alliterations, the hallmark of Karunanidhi’s style, came powerfully alive in a stunning performance by Sivaji, unparalleled in Tamil cinema. The monologue uttered as an address to Tamil Nadu in the earlier scenes and the courthouse speech in the closing stages of the film were classic instances of delightful oratory. A star had arrived in Tamil cinema. The Karunanidhi-Sivaji combination made an explosive impact. The writer’s rich prose, brimming with vitality, was given emotive and impressive expression by the actor. Every film in which they collaborated was a success. Notable among them were Thirumbi Paar, Manohara, Kuravanji and Iruvar Ullam. A generation of actors and aspirants modelled themselves on his style. Despite this mass attempt to imitate and emulate him there was no replicating or duplicating the veteran. This stylish, dramatic presentation was essentially considered to be a feature suitable for the stage rather than the screen. A device used frequently in his earlier films to give an outlet to his histrionic talents was the inclusion of short historical dramas – on the Chera King Senkuttuvan, Akbar’s son Salim or Jahangir, Socrates, Emperor Asoka among others – within the main plot, often dealing with a social theme. His acting ability received maximum exposure in the bantering arguments Veerapandiya Kattabomman has with his British adversaries in the eponymous film. Sivaji received the best actor award for this role at the Afro-Asian film festival held in Cairo in 1960. Sivaji’s talents were by no means restricted to his oratorical prowess and powerful dialogue delivery. He could emote all the nine moods (navarasas) realistically. This skill found scope in all his films and came out into full play in his 100th film Navarathri in 1964, in which he played nine different characters signifying wonder, fear, compassion, anger, gentleness, revulsion, romantic passion, courage and happiness. His other commendable multi-role performances were in Uthama Puthiran in a dual role, and Deiva Magan and Bale Pandiya in which he did three roles each. Sivaji Ganesan played a wide range of characters, from god and king to commoner. Whether it was the mercurial Chola emperor Raja Raja Cholan, Lord Siva, Lord Muruga, Saivite saint Appar, Vaishnavite saint Periyaalvar or Tamil poet Ambigapathy, Sivaji was always at his scintillating best. He was equally splendid in contemporary roles and stereotypes making every performance a memorable one. Superb among them are his roles as Bharatha in Sampoorna Ramayanam, the patriotic lawyer Chidambaram Pillai in Kappalottiya Thamizhan, the nagaswaram player Sikkal Shanmugasundaram in Thillana Mohanambal, Prestige Padma-nadha Aiyer in Vietnam Veedu, Barrister Rajanikanth in Gauravam and Police Superintendent Chaudhury in Thangapadhakkam. Despite achieving stupendous success on the screen, Sivaji remained faithful to his first love, the stage, and acted in plays for decades. Scenes from some of his films remain etched in memory: the ‘Yaaradi Nee Mohini’ song sequence in Uttama Puthiran, where Sivaji’s mannerisms would remind present day movie-goers of Rajnikanth’s style; the physically challenged Ponniah in Bhagapirivinai, the inimitable gait as the fisherman in Thiruvilayadal and the clash with Tamil scholar Nakkeeran in the same film; his duel over artistic superiority with Padmini in Thillana Mohanambal; particularly during the ‘Nalanthaana?’ song sequence; and the Othello drama sequence in English with Savithri as Desdemona in Iratha Thilakam. Sivaji had an astounding capacity to synchronise lip and body movements to playback renditions making it appear as if he was actually rendering these songs. Singers Chidambaram Jeyaraman, Tiruchi Loganathan, Seerkazhi Govindarajan and A.M. Raja in the earlier days and T.M. Soundararajan later gave voice to his songs, making the singing and speaking voices blend as an indivisible entity. Several directors, among them Krishnan-Panju, T.R. Sundaram, L.V. Prasad, B.R. Panthulu, T. Prakash Rao, A. Bhim Singh, K. Shankar, A.P. Nagarajan, A.C. Tirulokchandar, Sridhar, P. Madh-avan, K.S. Gopalakrishnan and K. Vijayan, directed Sivaji in vastly different roles, bringing out his versatility. Ironically, the man hailed as a great thespian never won a national award for best actor. He was conferred the Dadasaheb Phalke lifetime achievement award for meritorious service to Indian cinema in 1997. THE film journal Pesum Padam gave him the honorific ‘Nadigar Thilagam’ (doyen of actors). Sivaji was honoured with the titles Padma Shri and Padma Bhushan and the Tamil Nadu government conferred on him the Kalaimamani award. The French government honoured him with Chevalier in the Order of Arts and Literature. Sivaji served as a member of the Rajya Sabha. But despite his vast popularity as a film actor he was not successful in politics. Starting out as a Dravida Kazhagam and later DMK activist, he crossed over to the Congress in the late 1950s. When the Congress split in 1969 he stayed with the ‘old’ Congress of Kamaraj. After Kamaraj’s death he joined the Congress led by Indira Gandhi. In 1989, he formed his own Tamizhaga Munnetra Munnani and struck out alone only to suffer a humiliating defeat in the elections. Later he functioned as leader of the Tamil Nadu Janata Dal for a while, but soon ceased to be active in politics. Essentially a creature of the stage when he entered films, Sivaji Ganesan brought that baggage with him and superimposed it effectively on the film medium. Yet his brilliant acting made this so-called violation of screen norms the accepted norm of film acting. Generations of Tamils learnt to appreciate the beauty and power of the Tamil language because Sivaji Ganesan breathed new life into it. Sivaji was no stranger to Sri Lanka. His movies ran to packed houses in the island. Several of his films were adapted and remade in Sinhala. Substantial portions of Pilot Premnath and Mohanapunnagai were shot in Sri Lankan locales with Sri Lankan artists Malini Fonseka and Geetha Kumarasinghe in the lead female roles. 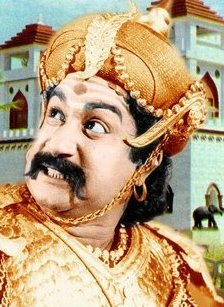 I suddenly remembered that Sivaji saar died on Juy 21st 10years ago. So I just googled to see if any articles were there about him. what a great man. what a great actor. Is there anyone to even compare with him in Tamil cinema now? Avaroda ellam pochu! Thanks DBSJ for this nice write-up on the thespian. Sivaji Ganesan is probably the best Tamil actor to have graced the movie screen. His best spiritual and historical roles in movies are, in my opinion: Thiruvilaiyadal, Thirumal Perumai, Kandan Karunai, Veerapandiya Kattabomman and Karnan. Sivaji Ganesan will also be fondly remembered for staying out of the Dravida Kazhagam-DMK-AIADMK gutter politics and for being a simple, devout, humble man in spite of his stardom. Thank you Mr.Jeyaraj for this lovely tribute. Singath thirunade nee silanthivaliyai maariyathu eppothu? It is a pleasure to have read this article. I had been a fan of him, especially of those movies start with Pa (( ப ) பாலும் பளமும் , பராசக்தி ). It was a pleasant surprise to read that you have that much loved interest to the other side of the life, not the politics. If I am not inquisitve, where did you go to school ? I am quite passionate about cinema and see quite a lot of films particularly old ones even now. I even started this blog to get away from politics (which gets dirtier and directionless) and write on my other interests such as cinema, literature, nature,wildlife, arts,music,drama, places etc. Sadly I am still enmeshed in this despite the yearning. Even this time I wanted to write a much bigger piece on Sivaji. But I couldn’t find time and hence am reproducing one I wrote for Frontline that has a restricted word count. But one more thing this article has done; that is, it has stirred my stirred my tamil love. In this song you have posted in the window, please look at the background both Kamban and Ottakoothan(Nambiar role) are two of the greatest poets of their period. It was always a classic literary duel between them. Many of you would have heard about ‘Nei thumirtham, Paal thumirtham’ story wherein Saraswathy, the Godess of Kala(i), coming to rescue of Kamban when pitted against Ottakoothar. Also many of you would know about Kambar’s literary duel with Avvaiyar with one calling the other D and DA. But the masterpiece is between Kambar and Ottakoothur that comes to my memory; though some of you would know this piece, it is in my Tamil Literary interest (for my soul sake) I am writing. In the Chola King’s court both Kambar and Ottakoothar were court poets. In those days, it was an acceptable norm in the King’s palace, that if there is small “OODAL” that is fight between the King and the Queen, the poet may intervene to pacify them. In one of those instances, the Queen was angry with the King and had shut the door of her and never letting herself to come out. So the Lead Poet Ottakoothar was called by the King himself to pacify the Queen; the poet Ottakoothar went and knocked the door of the Queen. The Queen refused to respond even after knowing who was knocking; usually the Queen would relent when a learned man like Ottakoothar intervenes. In this case, the Queen was a learned Lady and did not get bogged down. So the poet composed a poem quickly in praise of the King and read it out. When such a great King comes, your hands that are silky like Lotus will be pleased to open the door. Listening to this poem The Queen got angry when her hand was compared with Lotus flower and the face of the King was compared to a Sun. So the Queen locked the second bolt too!! This is called in Tamil as ‘Ottakoothan kavikku retta thaapa’ meaning two bolts for poem written by Ottakoothan. The King and the Poet Ottakoothan were embarassed. The King did not give up. He called the Poet Kambar to the rescue. Thanks to my Grandfather for feeding me with Tamil Literary Love. when I was small I used to watch Sivaji&MGR films with my Tamil neighbours. I love Tamil films still. Sivaji never received due recognition by the Indian establishment. The mistake ankis that he was born a Tamil. He was in Sri Lanka in 1959 or 1959 at the Thinakaran Festival at Bambalapitiya Saraswathy Hall and bestowed title “Kalaikurisil”. He was indeed a treasur etrove for Tamils. Tamil cinema failed to make use of him properly after mid ’80s. I think that he should have packed up like what S. Balachandar did with his film ‘Nadu Iravil’ in 1966. Goodbye with respect. The dialogue he spoke in Parasakthi came true. “Vandarai Vazha Vaikkum Thamilzagam” forgets its own sons. Sivaji will live forever in the hearts of cinema fans whether they are Tamils or otherwise. He was a man who thought shouting was acting. he could not play subdued roles. Even when supposed to be sad he shrieked or sang loudly. He is a very good actor. Any way personally he is not as good as MGR. His entry into politics is a misadventure. In politics he committed a lot of mistakes like switching the loyalty from Dravidian Politics to National Politics, floating his own party after facing difference of opinion with Congress, arranging marriage for his grand daughter with the nephew of Sasikala etc. A true legend. I watched Devar Magan for the first time with my old man last night. His acting was brilliant. Acting is made easy in the current era due to advances in camera and video technology, but in the days of Sivaji, MGR, Nakesh and Muthuraman it was a different story, it was actors themselves who had to sell the movies. Have you noticed that actors of yesteryear dressed way better than the ones before? Even the villains back in the day were dressed dapper. Good for you DBS, it’s good to get your head off politics every now and then. From my I childhood I remember Sivaji Ganesan. I saw hundreds of his movies. When I was with my father to the film PASAMALAR, I saw the whole cinema hall was silent and many were crying. He portrayed many roles of the Tamil Society. Two days ago I saw BALE PANDIA and NEETHI. In BalePandia he had TRIBLE acting, M.R.Radha had Double. Jeyalalitha’s mother Santhya was acting as wife to Sivaji. 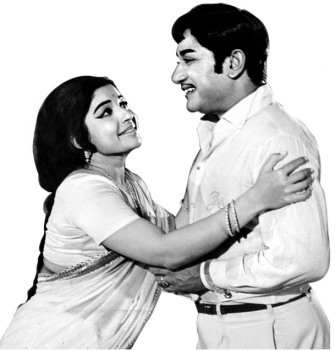 Later Jeyalalitha was acting with Sivaji in Neethi. Balaji who was a co-actor in many Sivaji films. Later he produced many successful color movies with Sivaji under the banner SUJATHA CINE ARTS. I still like the movie Paakap Pirivinai and watch it frequently! No one can match him in acting. I read your article in FL when it was published. Thanks for re-publishing! //Ironically, the man hailed as a great thespian never won a national award for best actor.// This is a shame for the Award. Shame Shame. Am sure, by publishing this article on his 10th anniversary, you have paid your tribute to the great actor you admired in the best way possible. Thanks for reviving his memory. His dialogues were superb. Have not seen a real King in my life, he is the one comes to mind when I imagine of a King; such was his towering figure. The dialogue between him and Luxmy in the movie Raja Raja Cholan still resonates. After acting, he could not convert this popularity into a career in politics in a big way as in the case of MGR. I saw most of his films. He was directed by great directers. But some said that he did not need any direction – that when he read the part, he knew what to do. Those days the songs in films too, made almost equal impact along with the acters and actresses. All songs were set to known ‘raagams’ and the background music was an important part. There were Song Writers and Music Directers too who were essential to make films. Shivaji will be remembered by tamils for a long time. For those interested,many old film songs and short videos,among them Shivaji’s,are here. I listen often. Main reason why he did not get a national award for best actor is that he was an actor from the live stage where he needed to express the emotions in an over-rated fashion. Otherwise it wouldn’t be accepted by the live audience. In the film some sort of natural acting is necessary to convince the selectors. Sivaji was unable to provide such natural emotions in most of his films. His acting was a text book lessons for others to learn but it should not be duplicated in full then it would become unnatural. That is why those who followed his style, Kamalhasan, Rajnikanth and others are successful in winning awards for their acting and actions. He could act any type of roles. He was a keen observer. His role as Thirunavukkarasar in Thiruvarutselvar, will be remembered for all time. For that role he took as his role model the Kanchi Paramacharya. He can also act subtly. But he preferred to do little bit over acting. He was an all time great actor. Had he been born elsewhere in western countries he would have got much great awards. I think you are referring to “Uthama Puthiran” (The good son) which is adapted from “The man in the iron mask” by Alexander Dumas. Sivaji Ganesan is probably the best Tamil actor to have graced the movie screen. His best spiritual and historical roles in movies are… but be it known that the posts purported to be by LKsword are not from him. His posts are amended and posted in a warped way by jeyaraj, the weak bas*tard who gets panicked when reading lksword’s posts attacking tamil terrorist dispora and supporting motherlanka. sorry ravi I had to use your name to send out this message to the readers… jeyaraj is a sponsor of tamil terrorists and against sri lanka. the Thiruvilaiyadal, Thirumal Perumai, Kandan Karunai, Veerapandiya Kattabomman and Karnan. Have you seen the character “Kannan” in Gowravam! 2nd son in Daiva mahan. This is something I think about and laugh now, and will like to share. I think I was 7 or 8 years old when I watched the movie Karnan. I am a hindu and I never willingly go to Krishnan temple or prayed to Load Krishna after that. Eventually I forgave Load krishna in my thirties for killing Sivaji in Karnan. That is how fanatical we were about Sivaji. It is an excellant tribute to one of the best actors in the world. Thank you for the excellant article DBS. Politics to day is a dead end and for us Eelam Tamils a sad tragedy. With his inimitable style Sivaji Ganesan acted in different roles and became an unforgettable actor. He did enrich Tamil films of his period with his rare talent and stellar performance that remains etched in memory. Dear DBS, yes the Chevalier Singam still lives in our memory. Thanks for reproducing the article from frontline, as an ardent fan of the thespian I have a collection of articles published after his departure, ten yaers ago this day. And yes he was my maanaseeha Thamil vaaththiyaar during my school days. DBSJ, see i was not the only one asking you to write about cinema! Bravo! Like you I also used to recita and act like Sivaji in Kattabomman. What powerful lines and dialogue.What delivery! Was it Karunanithy who wrote them? DBS , you said you were in Ratmalana Hindu college !! which year was it ? I always thought Sivaji’s major problem was over-acting. But, he was from ‘that’ era. People liked it, so he delivered. But, Sivaji was wonderful when he played a king or a hindu God. Over-acting was fine there. It seems, when Sivaji had his make-up and alked into the set, Mr. Umapathy, the Producer of the film, would stand up, thinking that a king was walking in. In Thiruvilaiyaadal, I thought Nagesh (Tharumi) read the poem much better than Sivaji (Lord Siva). Director Thirulogachander asked sivaji during the song shooting to change the different style of walking. Ganeson showed him 10 differnt style of walking. I rembember in Kerimalle, 25 years ago there were 2 cafes close together. One…MGR’s Fan and other Sivaji’s fan. Both cafes decorated with big MGR & Sivaji posters.We spend hours and hours in these cafes. Exactly… the main point is Sivaji Ganesan is probably the best Tamil actor to have graced the movie screen. His best spiritual and historical roles in movies are, in my opinion: Thiruvilaiyadal, Thirumal Perumai, Kandan Karunai, Veerapandiya Kattabomman and Karnan. So I also want to request you to write on cinema with a special suggestion. Thanks DBSJ for re-posting the wonderful article. You have brought out Sivaji’s all dimensions in the article. Have you written about MGR/Gemini Ganeshan before? Keep on writing about the fantastic Tamil cinema, We all can get relief from dirty politics, arguments etc. Thanks DBSJ, My whole schooling carreer was at Jaffna St John’s College. Love to read your blogs whether I am in sync with you or not. 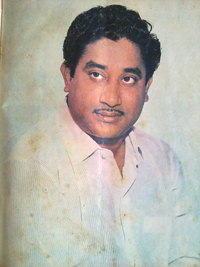 Thank you for writting about the life and times of Sivaji Ganesan who was my late dad’s favourite actor. I learned a lot of information about Sivaji’s personal and professional life from this article. Sophia Loren said ‘ the word action frees me the transformation I cannot explain – too much analysis might destroy it’ from an actors perspective. This is absolutely true in Sivaji’s case too. Jean-Luc Godard), tamil cinema in particular,the ordinary people might have learned some moral principles and some litrature thanks to sivaji’s movies beside the pleasure and entertainment . I would like to humbly suggest you Mr.Jeyaraj to write a movie story in English which could reflect the plight of our follow people and their liberation struggle, so that it could be produced in Hollywood for wider audience. That way our struggle will be easily reach massive people. You have the talent. ‘To accomplish great things we must not only act,but also dream; not only plan but also believe’ Anatole Franco. I am sure someone may have already commented on this but facinated me most (not to mention his delivery) were his facial expressions. His face, quite large I would say, would depict multiple emotions and feelings at the same time where necessary but would also show a common display of emotions and feelings where appropriate. When he speaks, it’s not just his mouth but his entire face tells the story (not to mention his body) in a way that is unique and unparalleled. It’s difficult to compare his to the western actors’ whose stoic mannerisms often downplay the facial expressions. It’s as if Sivaji Ganeshan had control over each facial muscle separately and moved them independently from each other. Amazing! and thank you DBSJ for taking us down memory lane. Mr.Jeyaraj, I recall you being Colombo correspondent of THe Hindu and Frontline. The Hindu is part of daily life in my family and a must along with morning coffee. Why waste time with the poliics of a hypocritical community? There is a lot of cry and suggestions to you to shift your focus away from Politcs. But I think you are not writing about Politics but you are writing about communal disturbance and about the sad state of the country(srilanka) you love. Incidently you are writing about the political process(whatever worse it may be) and you are NOT WRITING POLITICS. Hope you also continue to write about the current affairs of SL though you may shift your focus towards few things you love. Of course whatever be your choice we will back you up and respect your personal feelings. This happened when I was away from India and when I befriended a SL Tamil. Actually we had spoken very few words but the friendship was evident and the friendship does not happen easily happen with strangers. I had told him good-bye and am going back home, he said me that I am Privileged to back home whereas WE(SL Tamils) are NOT so PRIVILEGED to back home. Nothing else rattled me personally till this day in my life. Only thing that can make me happy in my life if I can hold this Gentleman’s hand and land my feet in NE Srilanka. Dear DBSJ – I too had the privilege of Meeting this Great Actor in person when he came to Colombo for the shooting of ‘Pilot Premnath’ Movie & would like to share this with you. My host introduced me to him & while my 3 young nephews who tagged along with me were getting his Autograph I was tongue tied for conversation & finally repeated to him what my co-worker said earlier in the day ‘Sivaji signs Autograph for others but I am autographing my signature on his airline ticket’ & without blinking came Sivaji’s reply in quote ” Ponnu Appo naan vandi nee odam – Ippo nee Vandi naan Odam’ ( young lady at that time I was the cart & you were the boat carrying it – now you are the boat riding on the cart.) His Majestic voice uttering those words – which was so spontaneous & not out of a movie dialogue – still rings in my ears to this date. May he rest in peace. I can recall this name from school days as schools boys nick named some guys as Shivaji Ganeshan may be for hair style or something.Ididn’t know he was a Sth Indian. One of the photos reminds me a billboard I’ve seen some where in Colombo in early 70’s era,there were specific cinemas screened only Tamil movies could that be Elphinstone? Of course I haven’t seen any for the obvious reason of language. Elphinstone had stopped screening Tamil films by the 70’s. But Sivaji’s Veera Pandiya Kattabomman was screened in Elphinstone. I remember the outer theatre had been transformed into a fort with three cut outs of Sivaji (2)brandishing a sword&donned in regalia & of Gemii taming the bull. Thanks for the article on Sivaji. As a fierce MGR zealot, I hope you will be fair and write for us as well. My second favorite was Gemini and I used to hear about “Missiamma” from my mother and finally got a chance to see it about 3 years ago. It was everything she said it would be and more. And please continue to write about the situation in Ceylon. For some of us, you are the only reliable source. Thanks for bring back memories. Thanks for the cinemas you mentioned. It takes down in memory lane I don’t know how they picked those names, I can see a beauty in each of them. People naturally look up to role models and those days no computer images, only billboards outside cinema halls and they resemble to character actors and teasing thing was genuinely the age of innocence not due to any racial prejudice. Shivaji Ganeshan was every young person’s tongue in those days. I think in that era moustache was in fashion. I think Raj Kapoor moustache was popular among youth if you refer to some of old wedding photographs. It is like giving up smoking. The best time is now! SL politics is (sadly) a lost cause heading in the direction of Dravidian party politics. At least the Tamil Nadu people had the sense (or the opportunity) of breaking free from the Karunanithy clan rule. But Sri Lankans, I am afraid, is struck with the Hambantota goons for at leat another 3 decades. I enjoyed your other articles on P Leela, Nagesh and Gamini Fonseka. Have you written more on these lines? Why not write about CV Sridhar, AP Nagarajan, KV Mahadevan, Bheemsingh etc. The current generation believes that K Balachander, MSV, Maniratnam, Ilayarajah and AR Rahman are the trail blazers! UK, USA, Canada, the EU. Without the fear of contradiction, I might say Shivaji Ganesan is a household and respected name among Tamils everywhere. My knowledge of Tamil films of recent years is lacking but Parasakthi will always remain in my memory. It is, arguably, his greatest role that propelled him to stardom. “Thamilnattu mudal kural iduthana” (is this the first voice of my own Tamilnadu? he asks the beggar who comes to his car. The point was, for the Tamilnadu voter then, your government has reduced your entire race and state to beggars. No wonder they overthrew the powerful Nehruvian Congress rule in due time. The lesson Parasakthi performed then as a social pathfinder can be used to usher in peace and unity here through the medium of the film screen. I agree with many readers from India in this blog that DBSJ has endeared himself to Tamils all overe the world in remembering this icon – on his birthday. I am touched by many readers from Tamilnadu referring to him with respectful esteem as Shivaji Saar. I hope you may not seen too many films of Nadigar Thilagam Sivaji like Antha Naal, Parasakthi, Irumbuthirai etc. Once in an interview, Director Mahendran has mentioned that in all over the world actors acting only one form or one or two forms of style. But only Nadigar Thilagam touched plenty of style in all over the world. He is the director of films like Mullum Malarum, Uthiripookkal etc. Above him we doesn’t have any rights to criticise the actings of Nadigar Thilagam. sivaji ganesan was the one of the best actor in the world. he play many role. his perfomance is not compare to any other actor in the world. i really proud that i am living in sivaji era. I heard and read from your blogs that you have written an article regarding Shivaji. I searched it many times and was unsuccessful. alas I found it this year. Thankyou for republishing it. Politics may be a dirty game but a lot of people relying on you to get the unbiased views. I am not exceptional. Please do continue writing political articles and wildlife/movies. I gather from your blogs that you have widely read all types of books – how about reviewing one of our old books/novels? or starting a section for your readers to blog on…. Thanks for the wonderful article DBSJ sir.I am so proud to say that I am called to give a short talk titled ” Sivaji Ganesan Oru Deivapiravi” on his 84th bday celebration on 17th Nov 2011 organized by SIVAJI GANESAN CULTURAL SOCIETY MALAYSIA. I consider it as an honour to pay my tribute to the man who brought the Tamil out from me.Valgha Sivaji Ganesan! Thank you.I hope your talk is received well on 17th. Best of luck! Sivaji Ganesan’s palm print is class one upper spatulate. The drooping of brain line suddenly increases his creative artistic instinct such as acting.With the conical finger tips all inspires his acting spirit with emotional instinct. expressly made on behalf of Macmillan Publishers Limited or one of its agents. whatever I told is correct always sivaji did every style to entertain the masses, even though he is a world class actor. Kamalhasan acting only for himself, he is a bloody selfish actor. kamalhasan can be compared with sunil gavaskar, where as nadigar thilagam can be compared with gundappa viswanath and super star rajini with great Sachin Tendulkar. A good article indeed on the great V.C. Ganeshan (Sivaji). As you may recall, there were two large camps in the 60’s & 70’s (MGR & Sivaji) and I belong to the former.